DENVER (July 24, 2018) – Diego Pellicer Worldwide, Inc. (OTCQB: DPWW) the premium marijuana brand and retail development company, today announced that it has secured a second store location in Denver, the former Colorado Wellness dispensary located at 2057 S. Broadway. Diego Pellicer Worldwide, Inc. will license the Diego Pellicer brand to the store and develop the location in the same upscale style to which Diego clients are accustomed. The new store will feature an innovative, customized design along with fresh Diego Pellicer branding, crafted by original Apple retail store creative team member Jill Savini and world-class architect Michael Rotondi, FAIA. 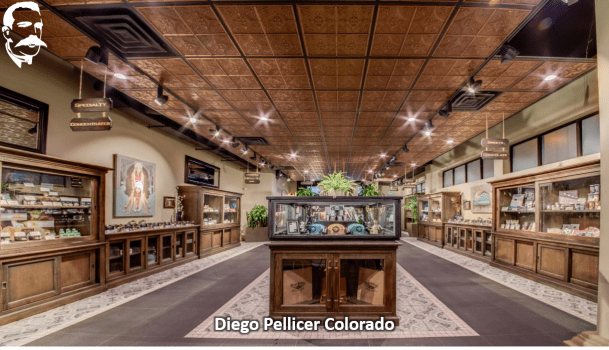 Colorado Wellness will remain open for business during the remodeling, with the new Diego Pellicer store opening in the first quarter of 2019. 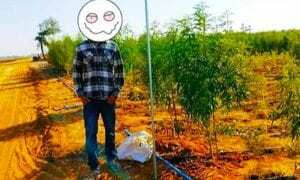 Diego Pellicer is a premium brand in an emerging market, providing an opportunity to pioneer new concepts at retail. The Broadway location will be consistent with current branding, yet unique to the location. Two leaders in architecture and design, Rotondi and Savini are bringing their progressive ideas to Diego Pellicer cannabis retail and branding. World-renowned architect Rotondi is a fellow of the American Institute of Architects and has built a legacy as an architecture educator at Arizona State University and the Southern California Institute of Architecture, of which he was a co-founder and later became its second director. Rotondi’s Los Angeles-based firm RoTo Architects is the official architecture agency of record for Diego Pellicer Worldwide, Inc.
Rotondi’s award-winning projects include: upscale retail stores on the Sunset Strip and Rodeo Drive working with famed fashion designers Leon Max and Sonia Rykiel; the first mall in Dubai City U.A.E, re-envisioning the Ibn Batutta Mall; and, high-profile, celebrity driven restaurants Nicola, 72 Market Street and Kate Mantilini in California. Teaming up with Rotondi is creative trailblazer Jill Savini. Savini began her career at Apple working on creative for the first Mac and was the creative director on the original team that developed the Apple retail store. Savini works with other prominent brands such as DocuSign and Marriott’s Renaissance Hotels as well as fast-growing start-ups including the organic, plant-based food company Forager Project. As head of corporate branding for Diego Pellicer she is responsible for ensuring a consistent look and branding across retail locations.